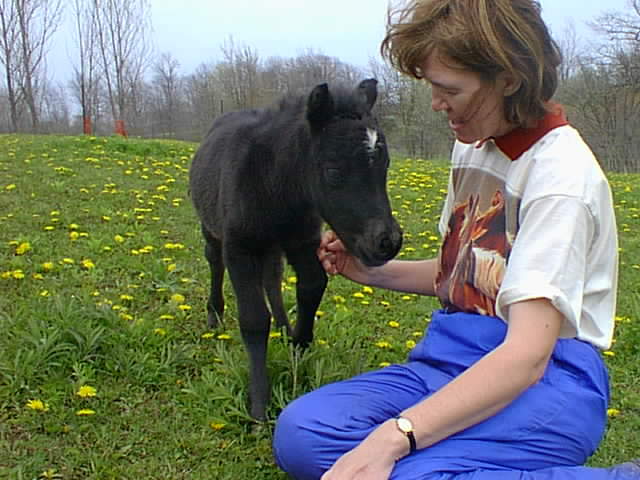 Dominique (Nicki) is our last foal from Toyland Domino. 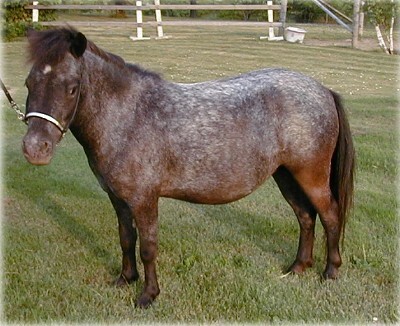 Born solid black, she has now developed into a gorgeous black roan appaloosa. Nicki has her sire's great personality and is one of our broodmares.